Telepathic art in the 20th century. What a fascinating subject for a spiritual, phantasmagoric exhibition which explores artists’ fascination with the direct transmission of thought and emotion. A lot of phenomena – for example telepathy, X-rays, psychoanalysis – were named or discovered in the last half of the nineteenth century or are concepts and things that began to gain popularity in the collective consciousness at that time, such as the unconscious mind, the anima and animus, the study of signs, photographs of thought, photographs of hysteria (Charcot) and notes and photographs on unexplained paranormal experiences. Love the work of Émile Cohl and Len Lye, both a revelation to me. Many thankx to the Centre Pompidou-Metz for allowing me to publish the photographs in the posting. Please click on the photographs for a larger version of the image. 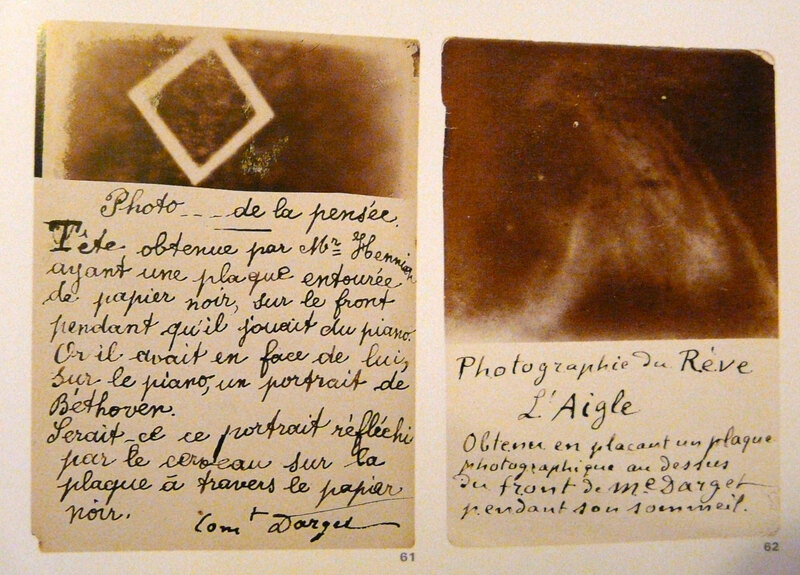 (R) “Photograph of a Dream: The Eagle.” 25 June, 1896. When conceived in 1880 in its original size (approx. 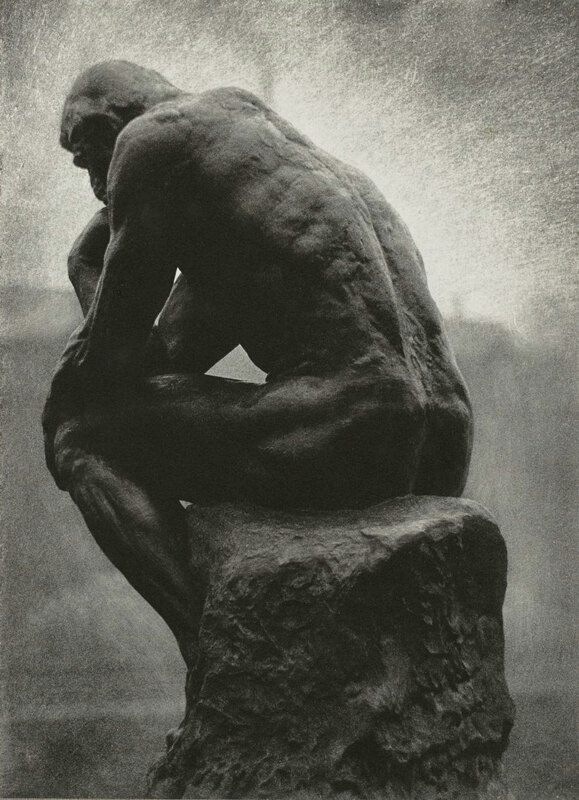 70 cm) as the crowning element of The Gates of Hell, seated on the tympanum, The Thinker was entitled The Poet. He represented Dante, author of the Divine Comedy which had inspired The Gates, leaning forward to observe the circles of Hell, while meditating on his work. 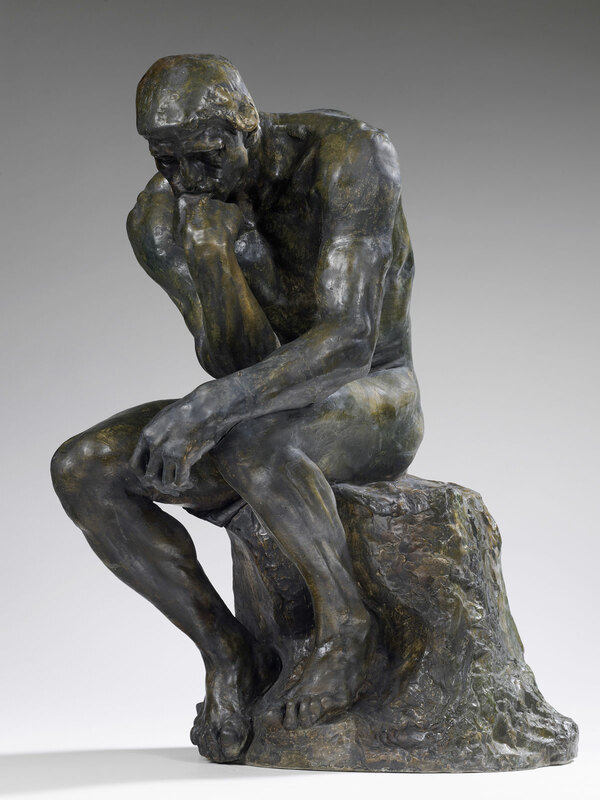 The Thinker was therefore initially both a being with a tortured body, almost a damned soul, and a free-thinking man, determined to transcend his suffering through poetry. The pose of this figure owes much to Carpeaux’s Ugolino (1861) and to the seated portrait of Lorenzo de Medici carved by Michelangelo (1526-31). “Cosa Mentale is a unique exhibition that offers a re-reading of the history or art from 1990 to modern day by exploring artists’ fascination with the direct transmission of thought and emotion. 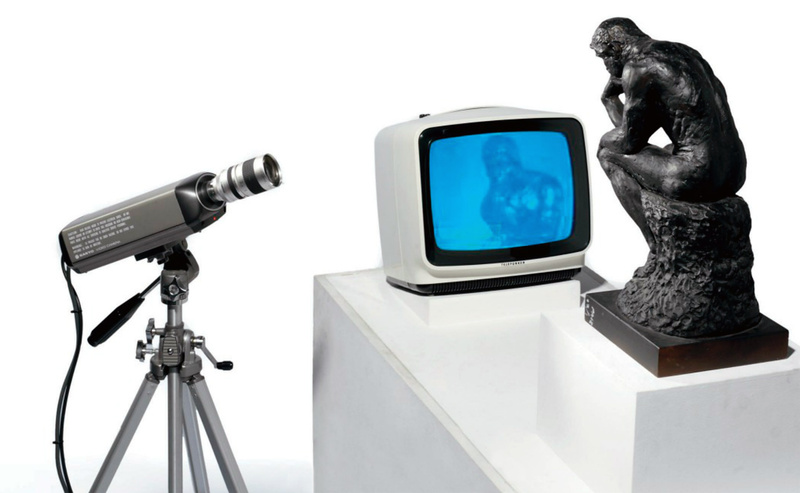 It invites the spectator to re-live one of the unexpected adventures of modernity: telepathic art in the 20th century. 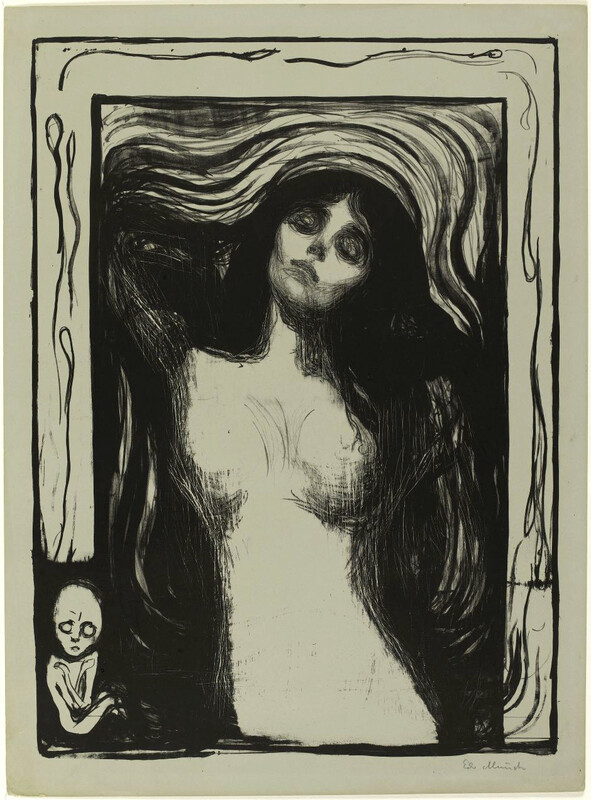 This exhibition traces a chronological path from symbolism to conceptual art with a collection of some one hundred works by major artists, ranging from Edvard Munch to Vassily Kandinsky, and from Joan Miró to Sigmar Polke. These artists provide innovative ways of communicating with spectators that take us beyond conventional linguistic codes. 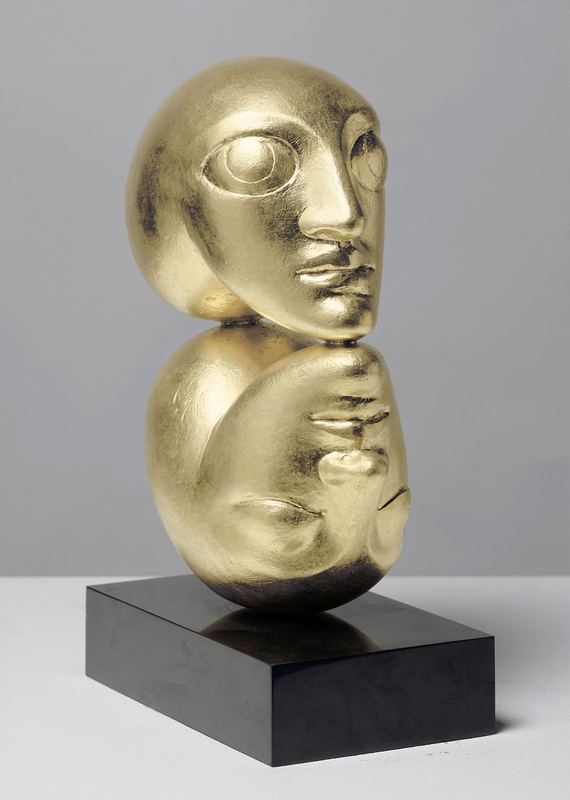 As a student, Lye became convinced that motion could be part of the language of art, leading him to early (and now lost) experiments with kinetic sculpture, as well as a desire to make film. Lye was also one of the first Pākehā artists to appreciate the art of Māori, Australian Aboriginal, Pacific Island and African cultures, and this had great influence on his work. In the early 1920s Lye travelled widely in the South Pacific. He spent extended periods in Australia and Samoa, where he was expelled by the New Zealand colonial administration for living within an indigenous community. The exhibition starts with a version of the famous figure of Rodin’s Thinker, set off against a sequence of seven photographs from the start of the century, in which the pictorialist dimension seems to attempt to show lighting emissions produced by the cerebral concentration of the subject. 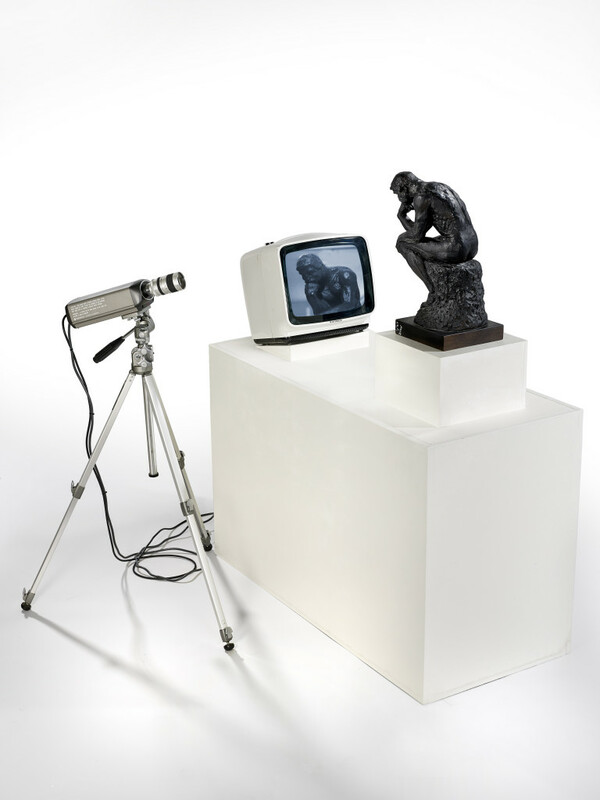 This collection is presented opposite TV Rodin, a video installation created by the artist Nam June Paik who, in the 1970s, reinterpreted electromagnetic animation of closed-circuit thought, when interest in cybernetics was at its peak. 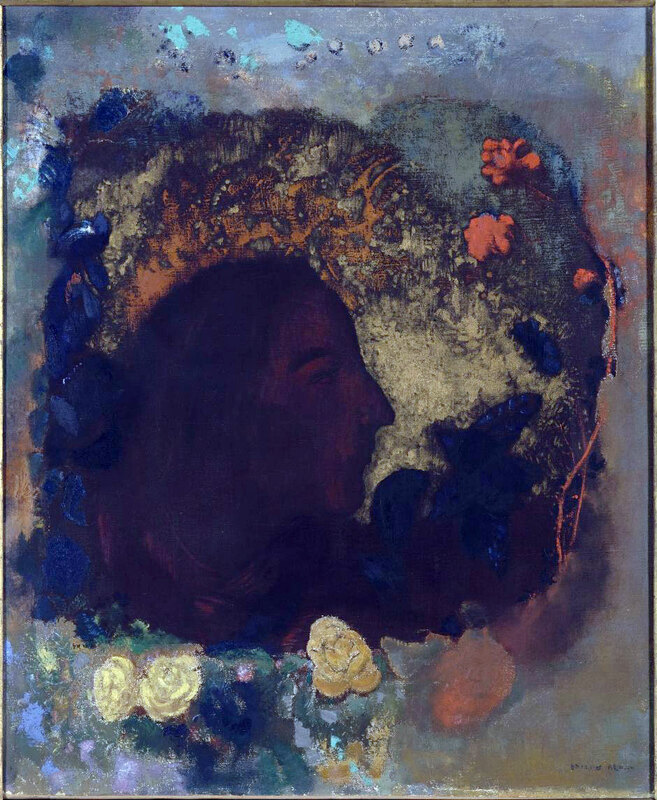 The direct visualisation of thought and emotional states and the impact of this on the beginnings of abstraction at the start of the 20th century. 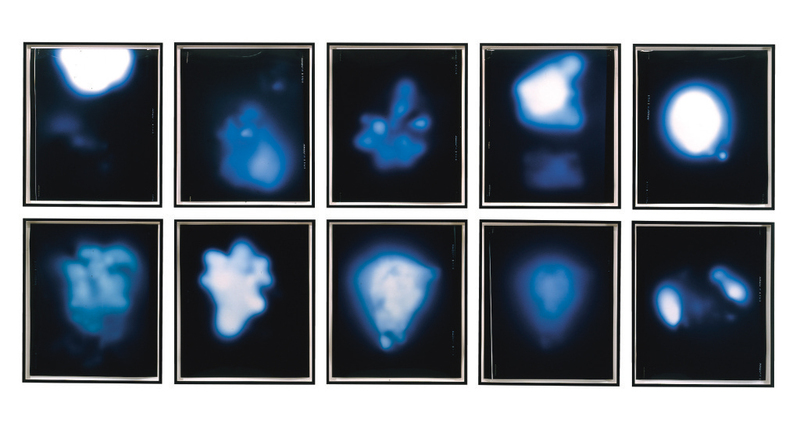 The first room focuses on the passion during the century for “photography of thought.” As a direct response to the discovery of radiography by Röntgen, in 1895, numerous amateur researchers attempted to produce images of the brain on photosensitive plates. Since it was possible to see through opaque bodies, why not try to see through the skull, which was now transparent? A curiosity cabinet presents the photographic experiments of Hippolyte Baraduc and Louis Darget with “psychic ones” or “images of thought.” This selection of photographs interacts with two film animation extracts by Émile Cohl, showing, with some humour, the direct projection of thought onto the big screen with the arrival of the cinema. In the second room, a collection of engravings from the theosophical works of Annie Besant and Charles Leadbeater, presented by the American artist Christian Sampson, reveals the close relationship between the representation of emotional states (thought-patterns) and early abstract painting. 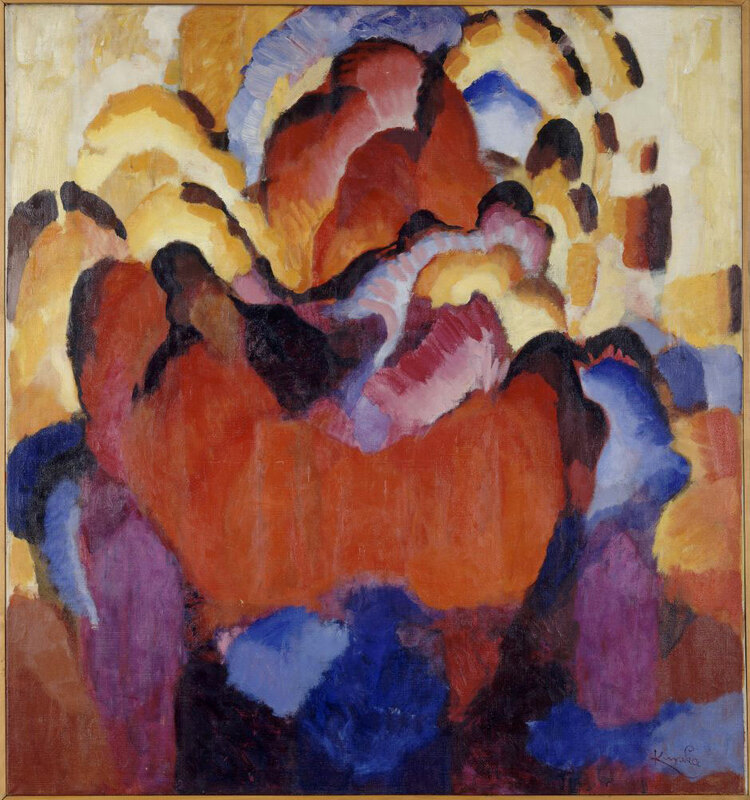 They inspired many pioneers of abstract painters, including Kupka and Kandinsky. 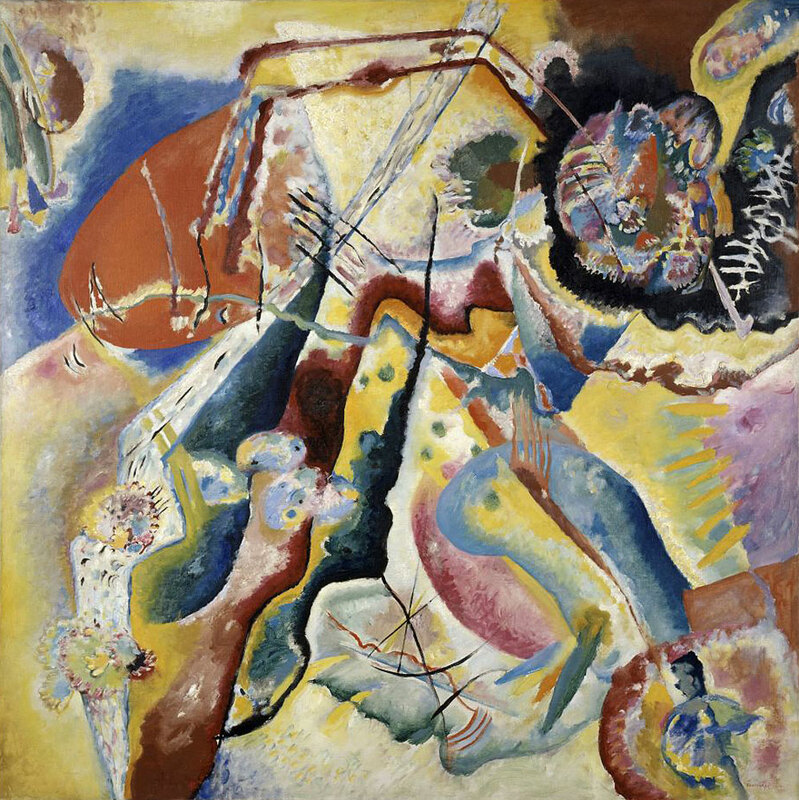 A group of auras and halos is shown, associated with a colour code for different effects, captured by Kandinsky in order to paint authentic abstract (auto) portraits. 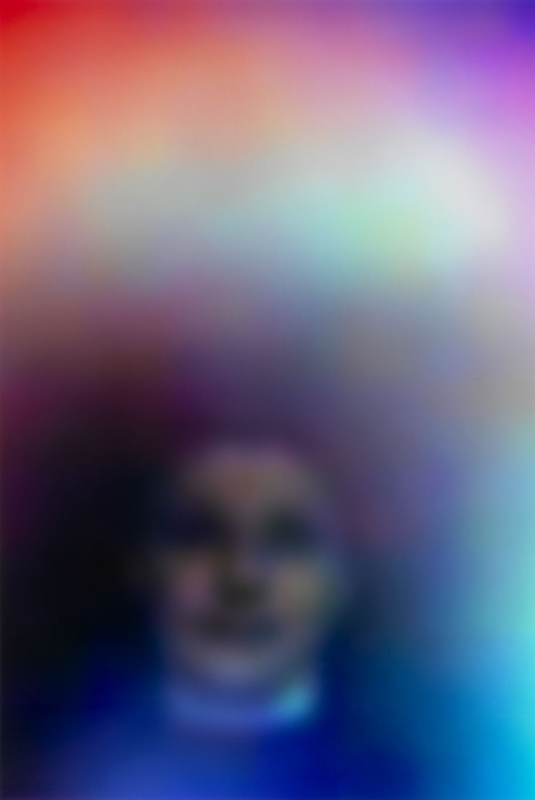 In the same vein, paintings by Wilhelm Morgner, Janus de Winter and Jacob Bendien present “psychic portraits” which illustrate a psychological range of emotions by means of chromatic signs. 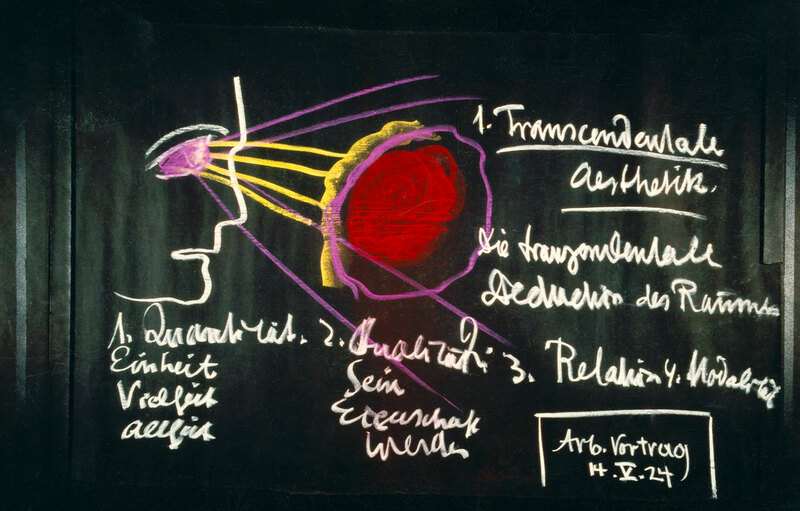 The third room presents a sequence of ten “blackboards” by Rudolph Steiner, the founder of anthroposophy (the “science of the mind” that was a major influence on some of the members of the avant-garde abstract movement), showing how he developed his theories of the “mental body” and “psychic force”. Next to this is a collection of watercolours by the Swedish painter Hilma af Klint, a pioneer of abstract art. Around this area a multimedia installation by the artist Tony Oursler has been specially created for this exhibition reinterpreting the historical imagination of these “mental projections”. The spread of telepathy in the inter-war period and its influence on surrealism. In 1924, André Breton published the Surrealist Manifesto (1924) just when the neurologist Hans Berger invented the first electroencephalogram as a result of experimental research into telepathy: this being a less than accidental coincidence, relating to automated transcriptions of the mind. The “exquisite corpses” or “communicated drawings” of the surrealists are linked to experiments that took place at that time into the telepathic transfer of images. The first room presents a sequence of photographs of the surrealist group in poses in which heads and bodies communicate with each other to produce a collective work under the mysterious influence of “magnetic fields.” Tusalava (1929), a film by the Australian artist Len Lye, illustrates the cinematographic solution found to make mental activity visible, in the form of abstract ideograms taken from aboriginal language. The second room shows a collection of photographs from the 1920s, some of which are presented by the artist Frédéric Vaesen, relating to the materialisation of psychic entities, the famous “ectoplasms” which give a more tangible reality to imponderable thought. 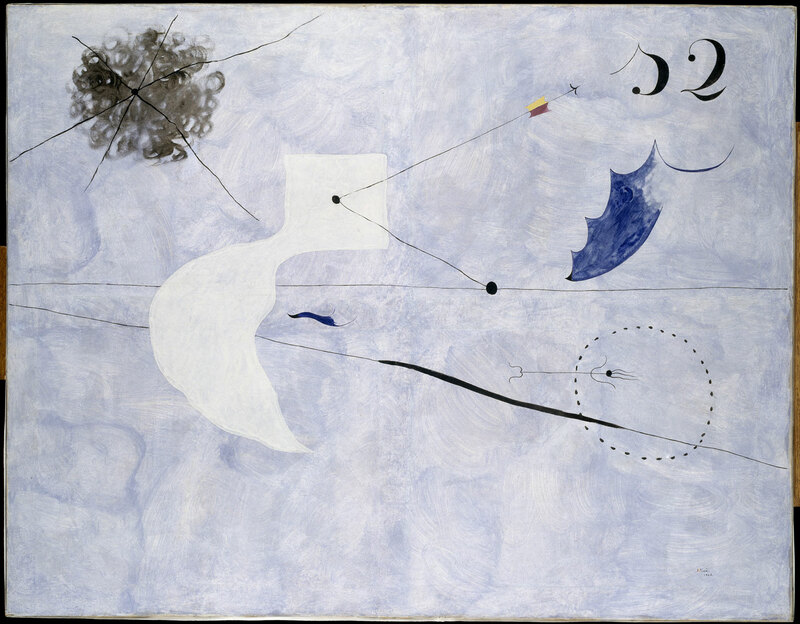 Next to this is a series of works by Joan Miró, in which the painter depicts coloured auras, including a mental map of emotional states, a “photograph of his dreams”. With the reconstruction of the post war period, divided between the cybernetic model and psychedelic liberation, telepathy remained more than ever a creative horizon for artists in search of perception extended to the electromagnetic manifestations of consciousness. The New Age spirit of the 1960s witnessed the curious revival of “photographs of thought” (Ted Serios and Salas Portugal), which influenced experimental cinema and psychedelic video (Jordan Belson), a well as some photographic practices (Anna and Bernhard Blume, Dieter Appelt, Suzanne Hiller, John Baldessari and Sigmar Polke). Under the influence of psychotropic drugs or immersed in highly intense audiovisual devices, electric thought in motion is captured with a penetrating eye. Experimental and radical architectural patterns embody “expanded consciousness”, as is seen in the Mind Expander project (1967) by the Austrian group Haus Rucker Co, which invites the spectator to venture into “superception.” Music has its role here, with the rise in “biomusic” at the end of the 1960s, led by Alvin Lucier, Pierre Henry and David Rosenboom, who produced authentic “brain symphonies,” by means of the sound transcription of the activity of electric waves emitted by the brain, directly captured by electrodes. 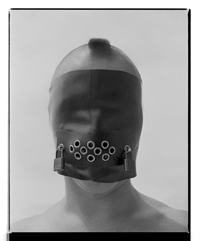 The establishment of telepathic art in the 1970s influenced by conceptual practices. On the margins of pop art, avant-garde artists in the 1970s produced a critique of both form and the art market, by means of strategies that emphasised language and sociological discourse. This also involved a major project in the dematerialisation of art works in which telepathy could be an ideal model for a new non-standard form of communication. The American artist Robert Morris produced his own Autoportrait in the form of an encephalogram (EEG Portrait) at the same time as his compatriot Robert Barry, a central figure in conceptual art, produced Telepathic Pieces (1969) and Vito Acconci explored extra sensory perception through the form of video (Remote Control, 1971). 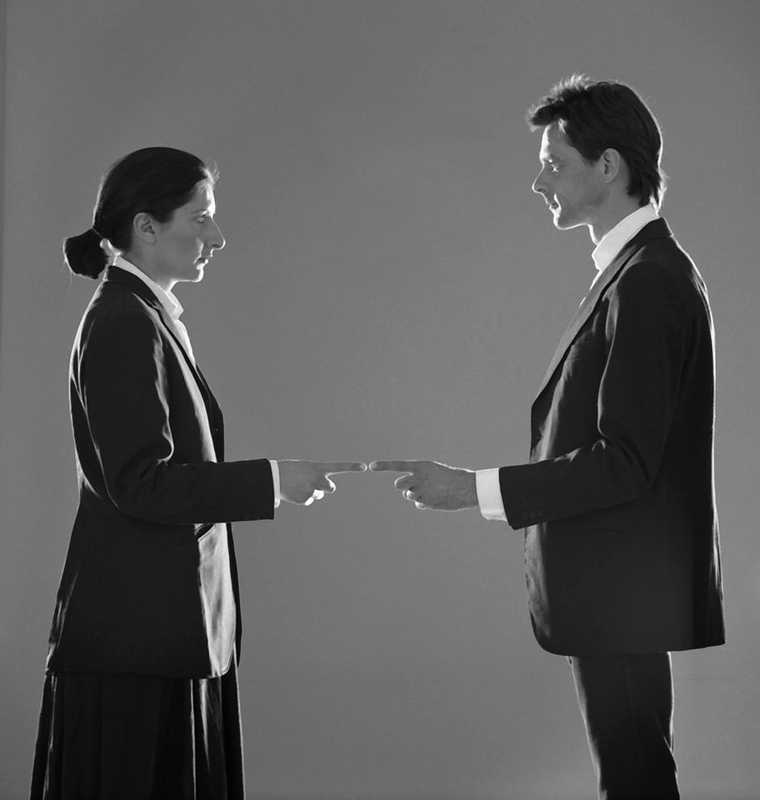 Against this backdrop, we see considerable new interest in a utopia of shared creation (Robert Filliou and Marina Abramovic) in the era of global communication and the “noosphere” prophetically declared by Teilhard de Chardin and Marshall McLuhan. Taking their cue from the Situationist’s ideas of play as a means of engaging citizens, Haus-Rucker-Co created performances where viewers became participants and could influence their own environments, becoming more than just passive onlookers. These installations were usually made from pneumatic structures such as Oase No. 7 (1972), which was created for Documenta 5 in Kassel, Germany. An inflatable structure emerged from the façade of an existing building creating a space for relaxation and play, of which contemporary echoes can be found in the ‘urban reserves’ of Santiago Cirugeda. 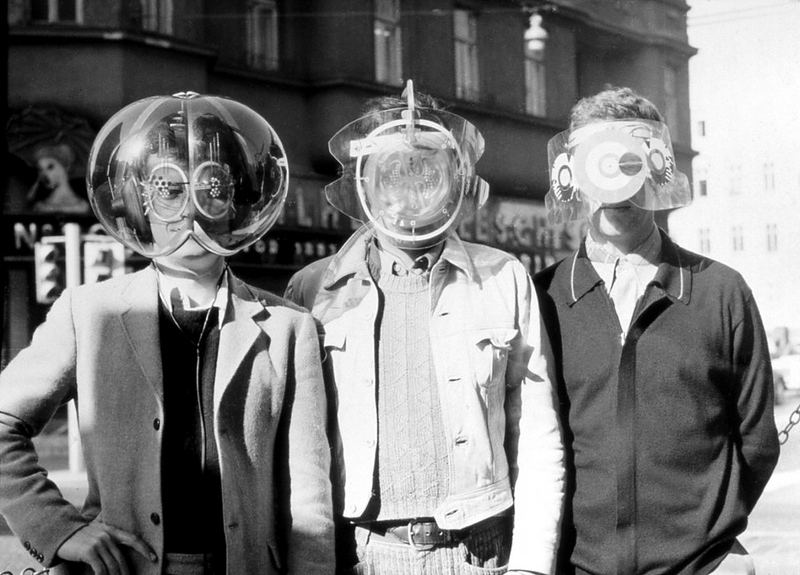 The different versions of the Mind Expander series (1967-69), consisted of various helmets that could alter the perceptions of those wearing them, for example the ‘Fly Head’ disoriented the sight and hearing of the wearer to create an entirely new apprehension of reality; it also produced one of their most memorable images. 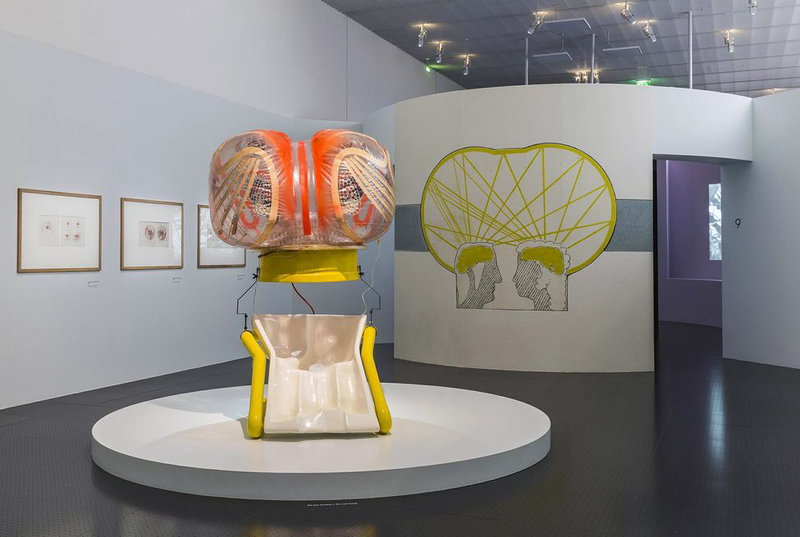 Installation view of Haus-Rucker-Co, Mindexpander 1 1967 in the exhibition Cosa mentale at the Centre Pompidou-Metz. Photo Pompidou Centre. MNAM CCI-distrib. RMN / G. Meguerditchian. 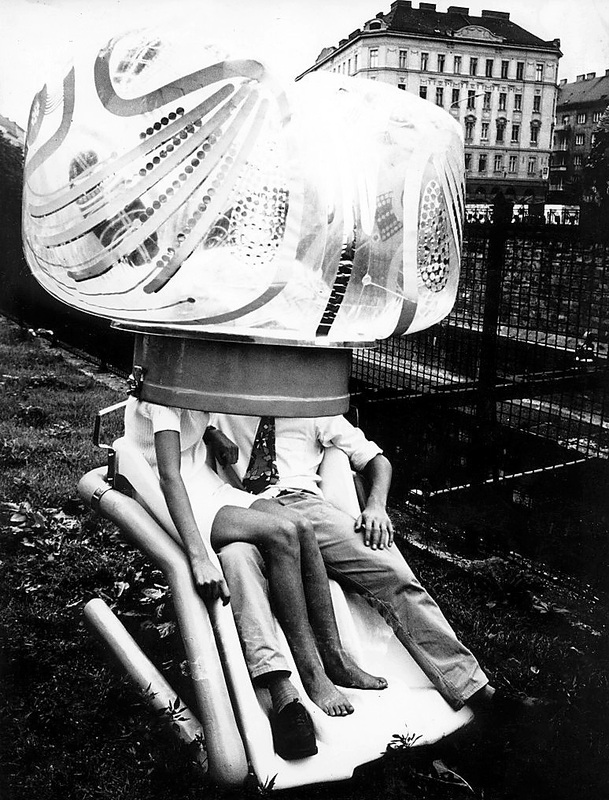 In 1968, the Austrian collective Haus-Rucker-Co designed the Mind Expander as an immersive capsule propelling the audience into a new mode of perception of reality: the “Superception”. This, then, is a synthesis of avant-garde utopias, throughout the twentieth century, influenced by the imagination that gave rise to the development of telecommunications, seeking to develop a way of live transmission of emotion. 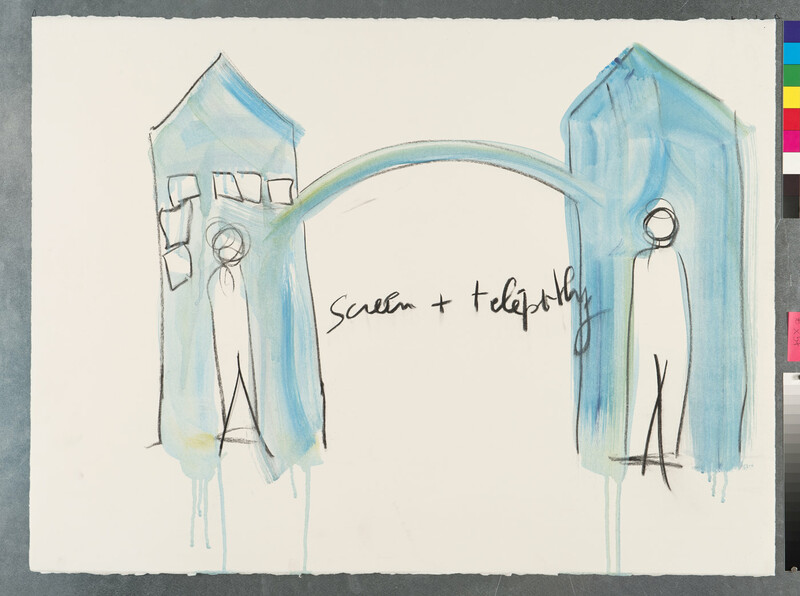 Its aim was to invent a new, immediate, relationship between the artist and the viewer. 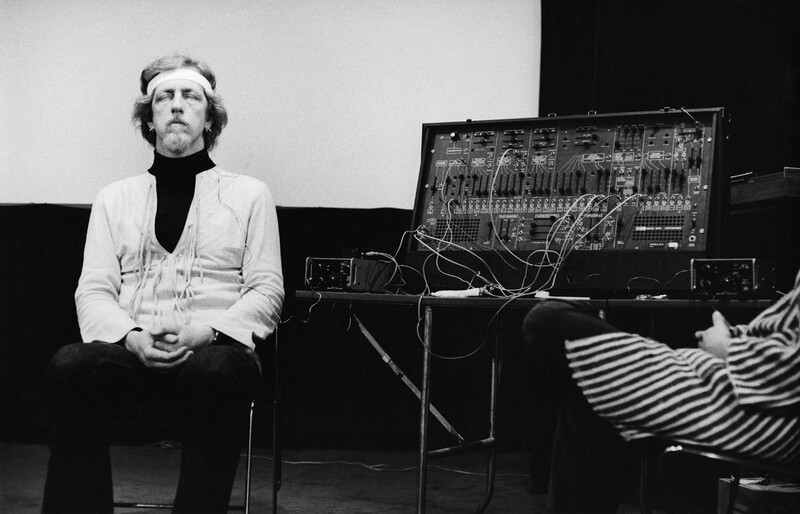 Pianist-composer J.B. Floyd, a long-time collaborator with David Rosenboom is seen with electrodes attached to his head while performing a solo version of Rosenboom’s brainwave music composition Portable Gold and Philosophers’ Stones at Centre Culturel Americain in Paris on 7 January 1975. The equipment shown includes a brainwave monitoring device and an ARP 2600 Synthesizer. The performance occurred simultaneously with a lecture given by David Rosenboom in a presentation titled Biofeedback and the Arts. Artist Jacqueline Humbert, who also participated in the performance, is seated off to the right of the picture frame.